The Ultimate Survival Bundle is Now LIVE! Go NOW! Watch the completely re-edited and updated version of my B.E.T. “Target Based” Self Defense System (3 Parts) in full 1080p HD in my V.I.P. Members Area (http://www.CoachDavidAlexander.com) for just $29 (Includes a 1 year V.I.P. Membership for a limited time. Normal price $99). Just email me with VIP Membership in the subject line to coachalexander@gmail.com and I will email you a PayPal invoice (usually within 1 to 6 hours depending on time of day) and once it’s paid I will email you your full access password. Throughout the year, I will be adding exclusive content to the V.I.P. Members area. Including the new video B.E.T. Strikes (coming soon). Watch my DVD for free…and send to your friends before YouTube bans it! 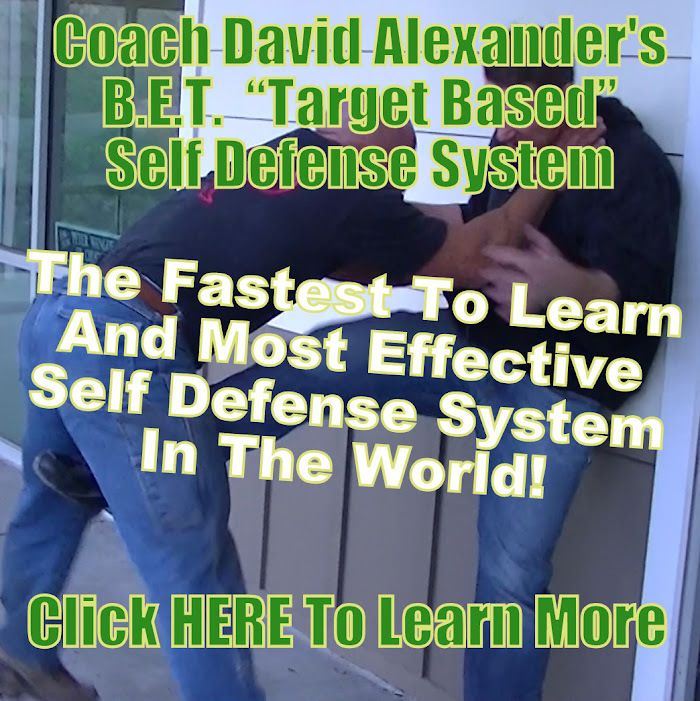 The most controversial self defense DVD ever made! I believe in the non-aggression principle until someone breaks it… Watch for a limited time. Send to your friends before I take it down or YouTube bans it! Includes weapon disarms (gun, knife, bat). Caution: Adult language and themes. This DVD is RAW and UNSCRIPTED!